WASHINGTON — The Federal Communications Commission will vote this week to consider changes to orbital debris guidelines that could alter deployment plans for some satellite constellations and shorten the orbital lifetime for some experimental satellites. That increase includes proposed constellations of hundreds to thousands of satellites, primarily for communications. Most of those systems plan to operate at orbits above 650 kilometers, the approximate altitude above which satellites will not deorbit within 25 years, the current limit for post-mission orbital lifetimes in FCC guidelines. The proposed FCC rule would require companies requesting a license for non-geostationary orbit (NGSO) systems that seek to operate at altitude above 650 kilometers to explain their rationales for selecting those orbits and “any other relevant characteristics” of the proposed orbit, such as any debris currently found there. The rule proposes that satellites be able to automatically initiate deorbit maneuvers in the event of a major problem, such as a loss of power or communications. The FCC also requests comment on whether licensed satellites in those higher orbits meet a “design and fabrication reliability requirement,” such as 0.999 per satellite or one failure per 1,000 satellites launched. 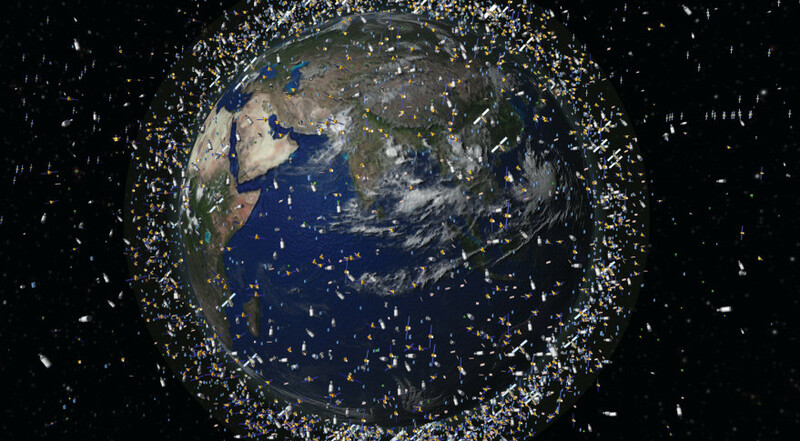 The proposed rule seeks comments on other changes to licensing guidelines for satellites to minimize orbital debris. For example, satellites in low Earth orbit used for technology demonstrations may complete their mission within a few weeks but remain in orbit for up to 25 years while remaining in compliance with existing orbital debris guidelines. The FCC wants feedback on alternatives approaches, such as setting the orbital lifetime of satellites with short-lived missions to no more than twice the mission lifetime. Another area where the FCC asks for comment is on launches containing the deployment of dozens of satellites, such as this month’s launch by Spaceflight Industries of its SSO-A mission, carrying more than 70 satellites on a SpaceX Falcon 9. “A single deployment of a number of satellites from a launch vehicle or free-flying deployment device could result in some heightened risk of collision between objects, or on a longer-term basis due to the similarity of orbits for the released objects,” the FCC proposed rule notes, seeking comments on “any additional informational requirements” for such launches and risk mitigation measures. FCC Chairman Ajit Pai, speaking Nov. 8 at an event at the Hudson Institute here, called the proposed rule a “long overdue” update to the commission’s orbital debris regulations. “It occurred to us that, given some of the technological developments in the industry, given some of the new mitigation techniques that are out there, it might be useful for us to update those rules,” he said. The proposed rulemaking for orbital debris is one of several space-related items on the docket for the monthly meeting, which the FCC has dubbed “space month.” Those other topics include authorizing two NGSO satellite systems, by Kepler Communications and LeoSat, and modifying existing authorizations for two others, by SpaceX and Telesat. The SpaceX modification would allow it to deploy a 7,518-satellite V-band system in addition to its previously authorized 4,425-satellite constellation, while adding V-band services to the existing authorization.